When a new season starts so does a new harvest. An abundance of different vegetables - some comfortable old favourites like carrots and cauliflower and some a little more intriguing and intimidating like artichokes and cardoons. Each season bring it’s excitement and pleasures in the kitchen; spring starts with scarcity, then abundance and variety rise gradually to a late-September crescendo. The first salads and greens are down under cover early in the new year; in a good year we might risk planting some potatoes in a few favoured fields in February but planting does not really get under way until late March. Perennials, with the help of an established root system, give us the first vegetables of the season; we start picking asparagus, rhubarb, wild garlic and Guy's beloved cardoons in April. 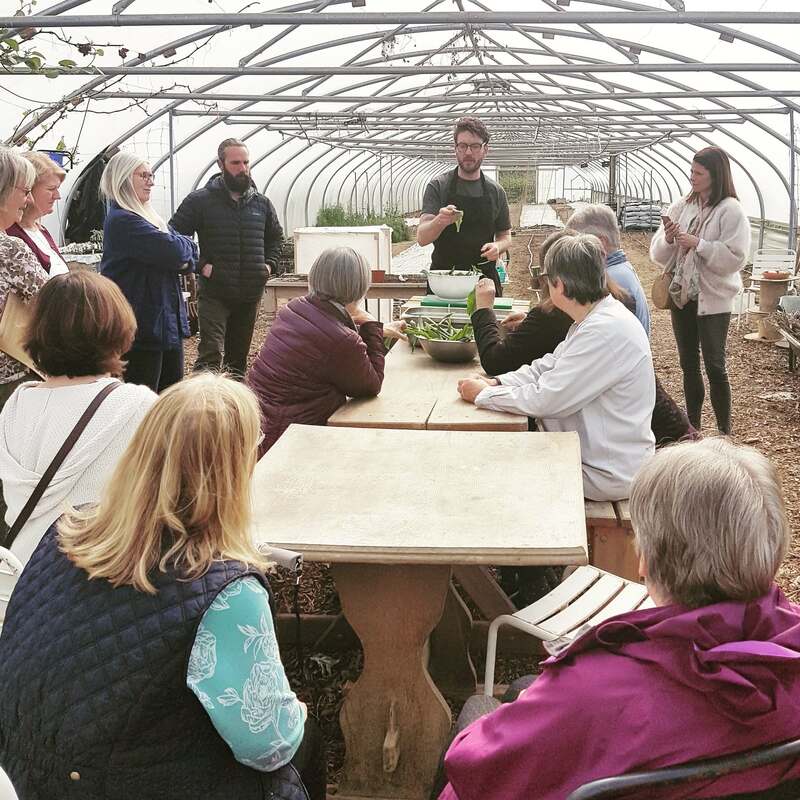 Even with our mild climate in Devon and the help of fleece covers to advance crops, we don’t start picking lettuce, salad greens, first early potatoes and strawberries until mid May, and by June a new crop is starting every week! 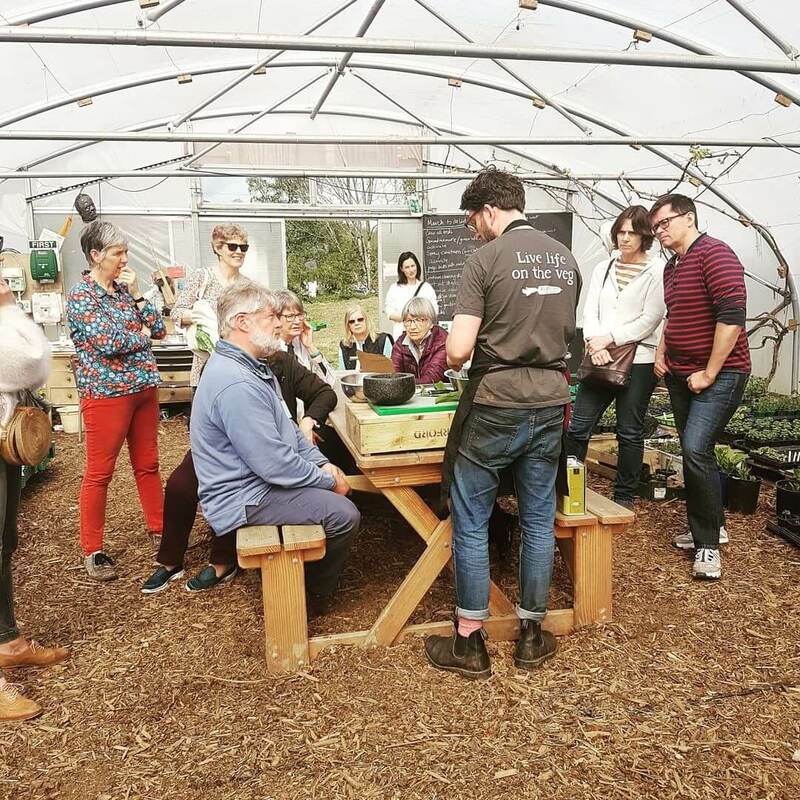 Our seasonal cookery demo’s are a determined, if absurdly utopian, plan to address the reality gap between celebrity chefs proclaiming their enthusiasm for seasonal veg in the media and people really learning how to enjoy practical, affordable cookery a home. 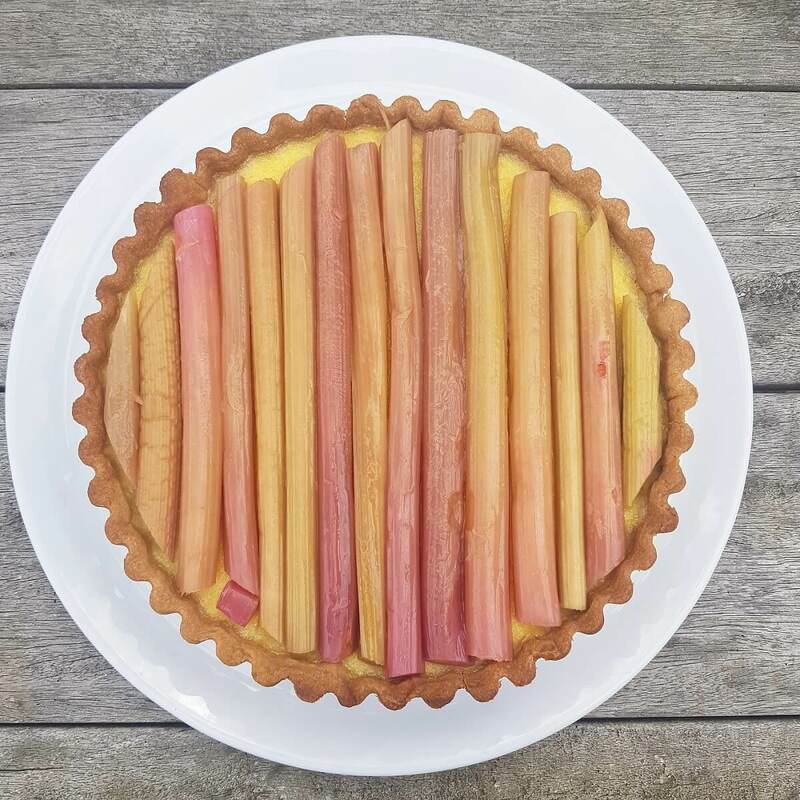 During our Spring demo, we cooked up some Riverford Field Kitchen favourites - purple sprouting broccoli with tahini yoghurt, a cauliflower fattoush, a wild garlic & walnut pesto and a heavenly custard tart with young rhubarb. 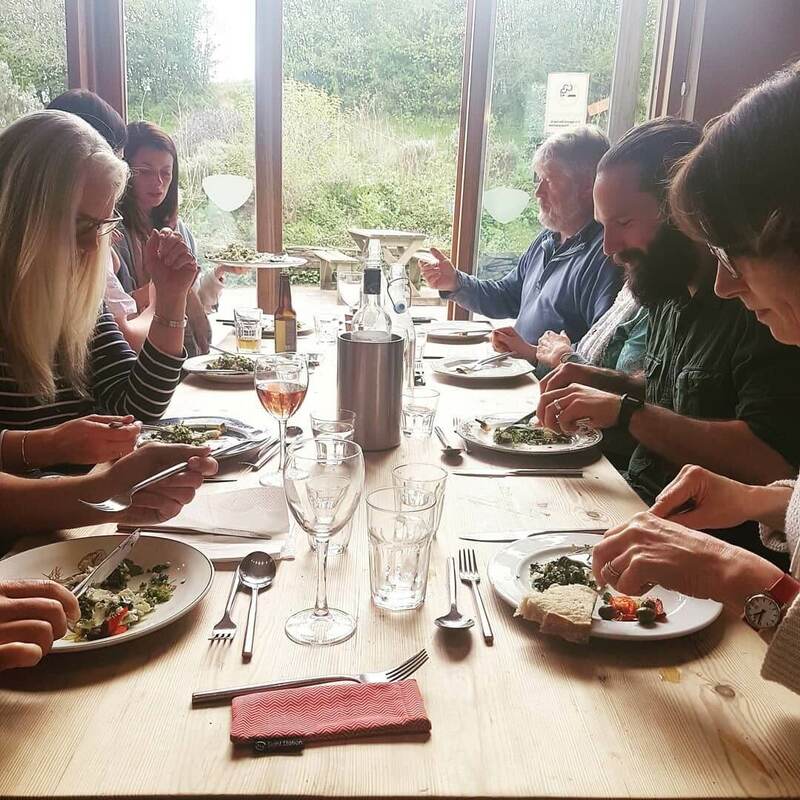 Afterwards everyone enjoy an organic feast - including the dishes made in the demo. 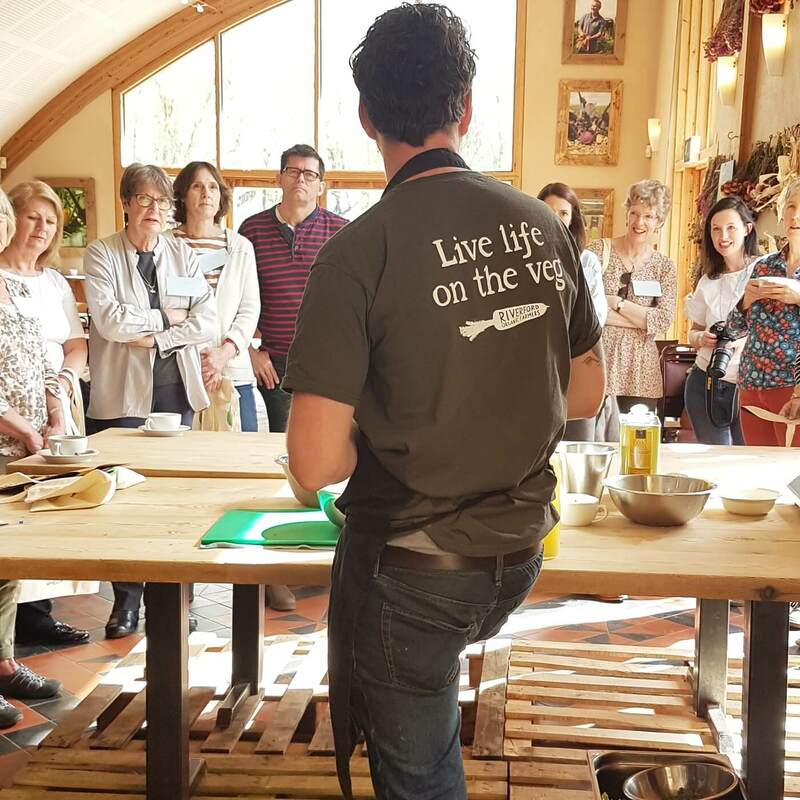 If you'd like to join us for a seasonal cookery demo, take a look at our events page here to see what's coming up.